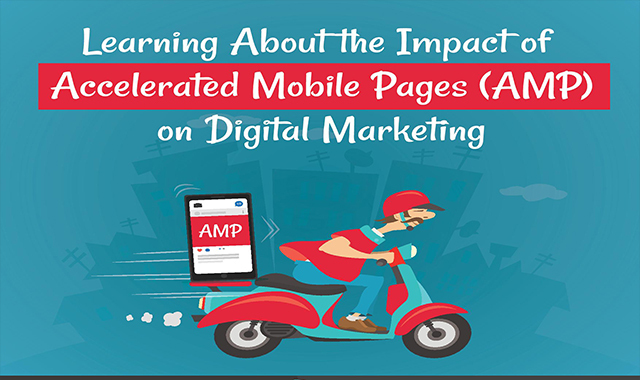 The Impact of Accelerated Mobile Pages (AMP) on Digital Marketing #infographic ~ Visualistan '+g+"
Speeding up your web pages is key to delivering a better user experience, and achieving a higher mobile ranking. Accelerated Mobile Pages (AMP) is an open-source framework which enables developers to create faster mobile pages. HTML, JS and cache libraries, along with some extensions, can help deliver feature-rich content like PDFs, video files, and infographics quickly. Your fast-loading pages will improve website usability, and encourage users to stay longer on your website and engage more effectively with your content. This can cut your bounce rates significantly. Are you planning to implement AMP on your website? Not sure if it's worth the effort? Take a look at the below infographic, created by Grazitti Interactive, which provides an overview of the benefits of Accelerated Mobile Pages (AMP) for digital marketing.